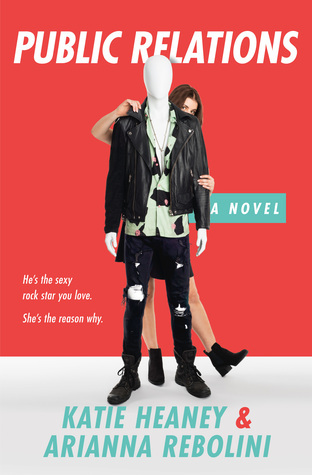 A hot singer, a cute PR girl who is going to help him with his career, and lots of cuteness, hilarity, and romance. Last night (well OK, 6 days ago, but when I wrote this part it was last night :P) I couldn’t sleep (too much going on at the moment), and what better book to start than this? 😛 I got to 33%, and the rest I read the next day whenever I had time. It was just the right book for the moment, I noticed that I slept much easier than I did before I started the book. I am not even sure where I spotted this book, but it probably was Goodreads, and otherwise Twitter. But I was instantly charmed by the cover, and then I fell in love with the blurb. I just had to read this book. The story is a bit predictable, the romance is as well, but even with those things I didn’t mind it that much. I just found myself rooting even harder for Archie and Rose to get together. They just had an instant chemistry, though, thankfully, the fall in love part was gradually and not instant as one may think. Archie may have been charmed by Rose from the beginning, but Rose took a bit longer to be totally charmed and fall in love. I was so happy with that, I was worried that this may turn into some sort of instant love story. Rose was a really sweet, relatable girl. She is really working hard at her job, giving it her all, and also showing she is destined for greater things. Her ideas are just way beyond what others bring up (seriously, those guys thinking those things are a good idea). It was great fun to see her manage Archie, find clothes, figure out a plan, and of course see her fall for Archie’s charm and try to ignore the feeling best as possible. Yes, for a big chunk of the book you just want to push her towards Archie, but I also have to be honest and say I admired that girl. She knows it isn’t professional to date her client, so she is really trying her best not to fall for him, to not give in to the urge to kiss him (and do more). That really takes something, I have read enough books were people just forget the professional behaviour and just went for it immediately. I loved how she was with her best friend, you can really see that these two will be best friends forever, even when things went a bit south in the book (due to Rose talking/complaining about Archie/her work etc, and forgetting her best friend). I wasn’t sure what to think of Rose’s boss. On the one hand she seemed friendly, kind, plus encouraging, but at other times I was a bit afraid of her and what she would do. The romance is a delight, and they are really cute together. There was one scene with a bit more detail, but I didn’t mind it much, as I was just happy they finally made that step. All in all, a delightful fluffy book with lots of music, hilarious situations, and of course a couple you just want to ship ship and ship! I would highly recommend this book.